We recognise the changes residents face when moving into a care home. 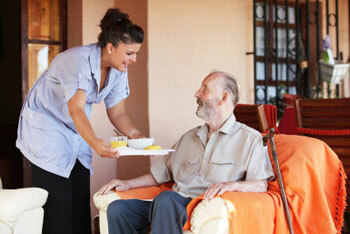 Our duty of care is to ensure each of our residents maintains their privacy and dignity at all times. Thank you so much for the kindness and support you have shown. We will be forever grateful. We have the facilities to care for people with physical disabilities ie. Strokes, MS, Parkinsons disease, Dementia and terminal illness (Palliative Care). We are working towards an accreditation in Gold Standards End of Life Care. We continue to liase with the hospice to ensure high standards of palliative care. We are implementing the Gold Standards Framework End of Life Care. There are always two RGN's on duty to maximise nursing care for all residents.